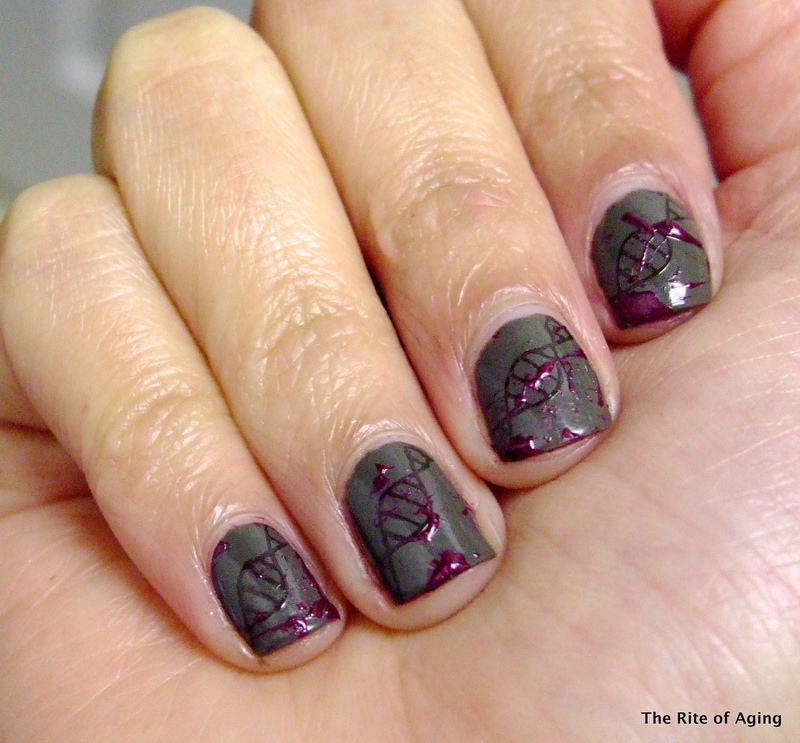 This manicure also serves for The Crumpet’s Tri-Polish Tuesday Challenge as well. I used 2 coats of Nails Inc. Foubert’s Place. This polish actually cracked on my third finger as it was drying. Has that happened to anyone else? I stamped with Milani Dark Coffee and MoYou London plate 03 from the Scholars Collection. I “blood-splattered” with Chanel Le Vernis Gondola.